I tend to remind you constantly about being positive. Why? 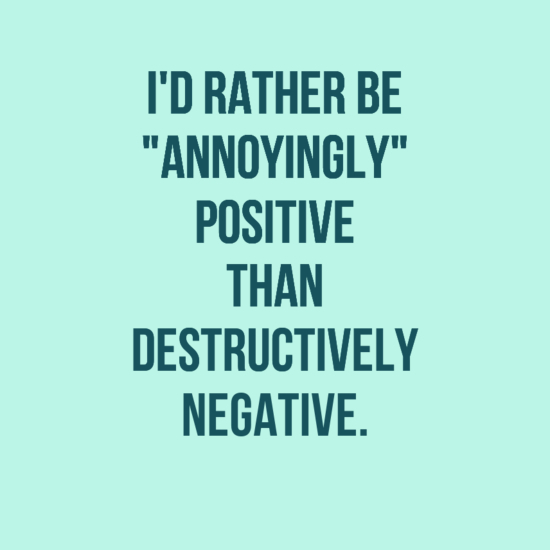 I happen to believe that negativity is a disease in most workplaces today. The thing is that if you are negative and frustrated, it will become a habit that you carry everywhere you go – unfortunately also into your personal life. Why not prevent that if you can? Choose to become better instead of bitter.